Since 1/3 of Americans die from atherosclerotic cardiovascular disease (ASCVD, mostly heart attacks and strokes) and dropping dead is often the first symptom of ASCVD it’s incredibly important to identify early, “subclinical” ASCVD and begin measures to reduce risk. How early to begin that process is open to debate. The recent sudden death of the 41-year old son of a patient of mine, however, has reinforced to me how crucial it is to begin risk assessment and potential treatments as early as possible, especially in individuals with a strong family history of premature ASCVD. We use standard risk factors like lipids, smoking, age, gender and diabetes to stratify individuals according to their 10 year risk of ASCVD (using this online risk calculator) but many apparent low risk individuals (often due to inherited familial risk) drop dead from ASCVD and many apparent high risk individuals have no subclinical ASCVD and don’t need preventive therapy. Recent studies provide compelling support for the early utilization of cardiac imaging in to identify high risk individuals. Heart attacks and most sudden cases of sudden death are due to rupture of atherosclerotic plaques. Thus, it makes sense to seek out such plaques, a process I call searching for subclinical atherosclerosis. There are a number of ways to search for sublinical plaques but the two most widely studied are carotid ultrasound screening and coronary artery calcification (CAC) measurement. Typically, if we have calculated (using the ASCVD risk estimator) a 10 year risk >7.5% we have a discussion with the patient about beginning drug treatment to reduce risk. To inform the decision and help us “get off the fence” I usually recommend a CAC. To see how this works in a typical sixty something see my posts here and here. If CAC is zero, treatment with statin therapy may be withheld or delayed, except in cigarette smokers, those with diabetes mellitus, and those with a strong family history of premature ASCVD. A duo of studies from Walter Reed Army Hospital have provided more support for the value of the zero CAC for risk prediction and identifying who should get treatment for prevention of both heart attacks and strokes. Patients without a zero CAC had a very low number of events , with a 1.0% rate of mortality and 2.7% rate of MACE over a 10-year period. On the other hand subjects without any traditional risk factors (n = 6,208; mean age 43.8 years), the presence of any CAC (>0) was associated with a 1.7 fold increased risk of MACE after adjustment for traditional risk factors. The red line of the >400 score individuals has a much higher risk of death, stroke and heart attack (myocardial infarction) than the blue (CAC 1-100) or the gray line of the zero CAC scorers. Furthermore, when these investigators looked at outcomes in those individuals who received statins versus those who didn’t, the zeros didn’t benefit from statin therapy over the 10 year follow-up. Benefit of statin therapy was significantly related to CAC group with benefit in patients with CAC score >100 but not in patients with CAC <100. aSHR = adjusted subhazard ratio; CAC = coronary artery calcium; CI = confidence interval; MACE = major adverse cardiovascular event(s). But there was a tremendous reduction in bad CV events in those with scores >100 who received statin (red line) versus those who did not (blue line). So these new studies provide powerful data supporting the use of CAC in younger individuals to help us refine risk estimates and target the individual at high risk of MI and sudden death. It seems highly appropriate to consider CAC testing beginning at age 40 years as the AHA/ACC guidelines suggest. But what about the individual who has a strong family history of premature CAD and is age say 35 or 39 years of age. Do we ignore advanced risk assessment? Very few individuals die in their 30s from ASCVD but I have a number of patients who suffered heart attacks in their forties. In addition, the earlier we can start risk modification the better as the process begins very early in life and accumulates over time. The Coronary Artery Risk Development in Young Adults (CARDIA) Study published in 2017 has demonstrated the early development of nonzero CAC score in the youngish and the predictive value of the high CAC score for mid life ASCVD events. It was a prospective community-based study that recruited 5115 black and white participants aged 18 to 30 years from March 25, 1985, to June 7, 1986. The cohort has been under surveillance for 30 years, with CAC measured 15 (n = 3043), 20 (n = 3141), and 25 (n = 3189) years after recruitment. The mean follow-up period for incident events was 12.5 years, from the year 15 computed tomographic scan through August 31, 2014. Any CAC in early adult life, even in those with very low scores, indicates significant risk of having and possibly dying of a myocardial infarction during the next decade beyond standard risk factors and identifies an individual at particularly elevated risk for coronary heart disease for whom aggressive prevention is likely warranted. I read CAC scans every day and it is not uncommon to see a non-zero scores in individuals in their late 30s or early 40s. The two sons of another one of my patients both in their late 50s with unremarkable risk factor profiles and both developing anginal type symptoms limiting their activities each underwent multi vessel stent procedures in the last month. If I had seen them 10 to 20 years ago we would have identified the subclinical atherosclerosis building up in their coronaries, started treatment and avoided the need for invasive, expensive procedures. The ACC/AHA guidelines list some “risk-enhancing factors” some of which I find useful. Clearly family history of premature ASCVD is important but the devil is in the details. What relatives count? What was the event in the family member? If it was sudden death was an autopsy done? What about nontraditional lipid/biomarkers? I consider an assessment of Lp(a) and some more sophisticated measurement of atherogenic dyslipidemia (apoB, LDL-P) and inflammation (CRP) essential. Interestingly the guidelines include ABI (which I do not find helpful) but not carotid vascular screening which has frequently guided me to earlier therapy in youngish individuals with abnormal biomarkers or strong family history. Vascular screening in young subjects may detect subclinical atherosclerosis as measured by thickening of the carotid wall (IMT) or early carotid plaque prior to the formation of calcium in the coronary arteries. Advanced IMT precedes the formation of soft plaque in arteries and only later is calcium deposited in the plaque. It’s never too early to start thinking about your risk of cardiovascular disease. If heart disease runs in your family or you have any of the “risk-enhancing” factors listed above, consider a CAC, nontraditional lipid/biomarkers, or vascular screening to better determine were you stand and what you can do about it. Included in my discussions with my patients with premature ASCVD is a strong recommendation to encourage their brothers, sisters and children to undergo a thoughtful assessment for ASCVD risk. With these new studies and the new ACC/AHA guideline recommendations if they are age 40-75 years there is ample support for making CAC a part of such assessment. Hopefully very soon, CMS and the health insurance companies will begin reimbursement for CAC. As it currently stands, however, the 125$ you will spend for the test at my hospital is money well spent. Coronary Artery Calcium Scan Embraced By New AHA/ACC Cholesterol Guidelines: Will Insurance Coverage Follow? The skeptical cardiologist has been utilizing coronary artery calcium (CAC) scans to help decide which patients are at high risk for heart attacks, and sudden cardiac death for the last decade. As I first described in 2014, (see here) those with higher than expected calcium scores warrant more aggressive treatment and those with lower scores less aggrressive treatment. Although , as I have discussed previously, CAC is not the “mammography of the heart” it is incredibly helpful in sorting out personalized cardiovascular risk. We use standard risk factors like lipids, smoking, age, gender and diabetes to stratify individuals according to their 10 year risk of atherosclerotic cardiovascular disease (ASCVD) but many apparent low risk individuals (often due to inherited familial risk) drop dead from ASCVD and many apparent high risk individuals don’t need statin therapy. Previously, major guidelines from organizations like the AHA and the ACC did not recommend CAC testing to guide decision-making in this area. Consequently, CMS and major insurers have not covered CAC testing. When my patients get a CAC scan they pay 125$ out of their pocket.. For the affluent and pro-active this is not an obstacle, however those struggling financially often balk at the cost. I was, therefore, very pleased to read that the newly updated AHA/ACC lipid guidelines (full PDF available here) emphasize the use of CAC for decision-making in intermediate risk patients. For those patients aged 40-75 without known ASCVD whose 10 year risk of stroke and heart attack is between 7.5% and 20% (intermediate, see here on using risk estimator) the guidelines recommend “consider measuring CAC”. If the score is zero, for most consider no statin. If score >100 and/or >75th percentile, statin therapy should be started. I don’t agree totally with this use of CAC but it is a step forward. For example, how I approach a patient with CAC of 1-99 depends very much on what percentile the patient is at. A score of 10 in a 40 year old indicates marked premature build up of atherosclerotic plaque but in a 70 year old man it indicates they are at much lower risk than predicted by standard risk factors. The first individual we would likely recommend statin therapy and very aggressive lifestyle changes whereas the second man we could discuss taking off statins. Neil Stone, MD, one of the authors of the guidelines was quoted as saying that the imaging technique is “the best tiebreaker we have now” when the risk-benefit balance is uncertain. Indeed, I’ve written quite a bit about my approach to helping patients “get off the fence” on whether or not to take a statin drug. 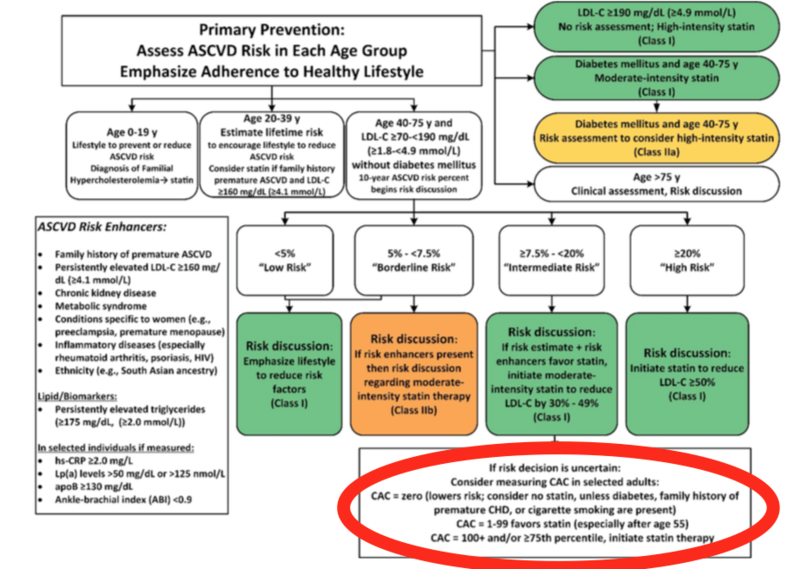 I recommend reading “Are you on the fence about taking a statin drug” to understand the details of using CAC in decision-making and the follow up post on a compromise approach to reducing ASCVD risk. N.B. For your reading pleasure I’ve copied the section in the new guidelines that discusses in detail coronary artery calcium. –CAC scans should be ordered by a clinician who is fully versed in the pros and cons of diagnostic radiology. Substantial advances in estimation of risk with CAC scoring have been made in the past 5 years. One purpose of CAC scoring is to reclassify risk identification of patients who will potentially benefit from statin therapy. This is especially useful when the clinician and patient are uncertain whether to start a statin. Indeed, the most important recent observation has been the finding that a CAC score of zero indicates a low ASCVD risk for the subsequent 10 years (S4.4.1.4-1–S4.4.1.4-8). Thus, measurement of CAC potentially allows a clinician to withhold statin therapy in patients showing zero CAC. There are exceptions. For example, CAC scores of zero in persistent cigarette smokers, patients with diabetes mellitus, those with a strong family history of ASCVD, and possibly chronic inflammatory conditions such as HIV, may still be associated with substantial 10-year risk (S4.4.1.4-9–S4.4.1.4-12). Nevertheless, a sizable portion of middle-aged and older patients have zero CAC, which may allow withholding of statin therapy in those intermediate risk patients who would otherwise have a high enough risk according to the PCE to receive statin therapy (Figure 2). Most patients with CAC scores ≥100 Agatston units have a 10-year risk of ASCVD≥7.5%, a widely accepted threshold for initiation of statin therapy (S4.4.1.4-13). With increasing age, 10- year risk accompanying CAC scores of 1 to 99 rises, usually crossing the 7.5% threshold in later middle age (S4.4.1.4-13). When the CAC score is zero, some investigators favor remeasurement of CAC after 5 to 10 years (S4.4.1.4-14–S4.4.1.4-16). CAC measurement has no utility in patients already treated with statins. Statins are associated with slower progression of overall coronary atherosclerosis volume and reduction of high-risk plaque features, yet statins increase the CAC score (S4.4.1.4-17). A prospective randomized study of CAC scoring showed improved risk factor modification without an increase in downstream medical testing or cost (S4.4.1.4-18). In MESA (Multi-Ethnic Study of Atherosclerosis), CAC scanning delivered 0.74 to l.27 mSv of radiation, which is similar to the dose of a clinical mammogram (S4.4.1.4- 19). CAC scans should be ordered by a clinician who is fully versed in the pros and cons of diagnostic radiology. from Grundy SM, et al. Four years ago the skeptical cardiologist wrote the (in his extremely humble and biased opinion) the definitive post on aspirin and cardiovascular disease. Entitled “Should I take aspirin to prevent stroke or heart attack“, it pointed out that although Dr. Oz had recently told almost all middle-aged women to take a baby aspirin and fish oil, there was, in fact no evidence to support that practice. The publication of the ASPREE (Aspirin in Reducing Events in the Elderly) trial results in the latest issue of the New England Journal of Medicine further strengthens the points I made in 2014. Between 2010 and 2014 the ASPREE investigators enrolled over 19,000 community-dwelling persons in Australia and the United States who were 70 years of age or older (or ≥65 years of age among blacks and Hispanics in the United States) and did not have cardiovascular disease, dementia, or disability. Study participants were randomly assigned to receive 100 mg of enteric-coated aspirin or placebo. At the end of the study about 2/3 of participants in both groups were still taking their pills. 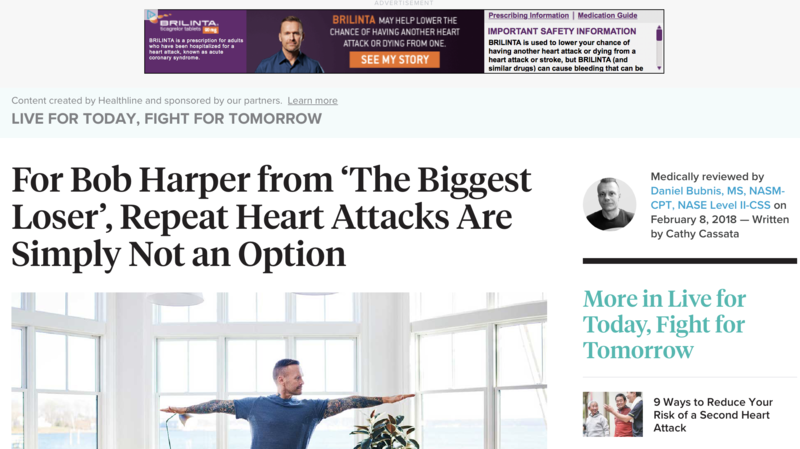 When I wrote about aspirin in 2014 I focused on cardiovascular disease. At that time, there was some reasonable evidence that aspirin might lower the risk of colorectal cancer. But when we look at outcomes the bottom line is how the drug influences the overall mix of diseases and deaths. The ASPREE researchers chose disability-free survival, defined as survival free from dementia or persistent physical disability (inability to perform or severe difficulty in performing at least one of the six basic activities of daily living that had persisted for at least 6 month) as their primary end-point which makes a lot of sense-patients don’t want to just live longer, they want to live longer with a good quality of life. If aspirin, to take a totally hypothetical example) is stopping people from dying from heart attacks but making them demented it’s not benefiting them overall. After 5 years there was no difference in the rate of death, dementia or permanent physical disability between the aspirin group (21.5 events per 1000 person-years) and placebo group (21.2 per 1000). However those taking aspirin had a significantly higher rate of major bleeding (3.8%) than those taking placebo (2.8%). The risk of death from any cause was 12.7 events per 1000 person-years in the aspirin group and 11.1 events per 1000 person-years in the placebo group.. Cancer was the major contributor to the higher mortality in the aspirin group, accounting for 1.6 excess deaths per 1000 person-years. And, despite prior analyses suggesting aspirin reduces colorectal cancer the opposite was found in this study. Aspirin takers were 1.8 times more likely to die from colorectal cancer and 2.2 times more likely to die from breast cancer. Did Aspirin Reduce Cardiovascular Events? After a median of 4.7 years of follow-up, the rate of cardiovascular disease was 10.7 events per 1000 person-years in the aspirin group and 11.3 events per 1000 person-years in the placebo group (hazard ratio, 0.95; 95% confidence interval [CI], 0.83 to 1.08). The rate of major hemorrhage was 8.6 events per 1000 person-years and 6.2 events per 1000 person-years, respectively (hazard ratio, 1.38; 95% CI, 1.18 to 1.62; P<0.001). The ASPREE study confirms what I advised in 2014 and hopefully will further reduce the inappropriate consumption of aspirin among low risk individuals. I’ve taken more patients off aspirin since 2014 than I’ve started on and what I wrote then remains relevant and reflects my current practice. Especially in light of the increase cancer risk noted in ASPREE patients should only take aspirin for good reasons. Aspirin is a unique drug, the prototypical two-edged sword of pharmaceuticals. It t has the capability of stopping platelets, the sticky elements in our blood, from forming clots that cause strokes and heart attacks when arterial plaques rupture, but it increases the risk of serious bleeding into the brain or from the GI tract. Despite these powerful properties, aspirin is available over the counter and is very cheap, thus anyone can take it in any dosage they want. The current totality of evidence provides only modest support for a benefit of aspirin in patients without clinical cardiovascular disease, which is offset by its risk. For every 1,000 subjects treated with aspirin over a 5-year period, aspirin would prevent 2.9 MCE and cause 2.8 major bleeds. Dr. Oz, on the other hand, came to St. Louis in 2011 to have lunch with five hundred women and advised them all to take a baby aspirin daily (and fish oil, which is not indicated for primary prevention as I have discussed here). When I saw these women subsequently in my office I had to spend a fair amount of our visit explaining why they didn’t need to take aspirin and fish oil. After reviewing available data, the FDA this week issued a statementrecommending against aspirin use for the prevention of a first heart attack or stroke in patients with no history of cardiovascular disease (i.e. for primary prevention). The FDA pointed out that aspirin use is associated with “serious risks,” including increased risk of bleeding in the stomach and brain. As for secondary prevention for people with cardiovascular disease or those who have had a previous heart attack or stroke (secondary prevention), the available evidence continues to support aspirin use. As I’ve discussed previously, however, many individuals who have not had a stroke or heart attack are walking around with a substantial burden of atherosclerosis in their arteries. Fatty plaques can become quite advanced in the arteries to the brain and heart before they obstruct blood flow and cause symptoms. In such individuals with subclinical atherosclerosis aspirin is going to be much more beneficial. We have the tools available to look for atherosclerotic plaques before they rupture and cause heart attacks or stroke. 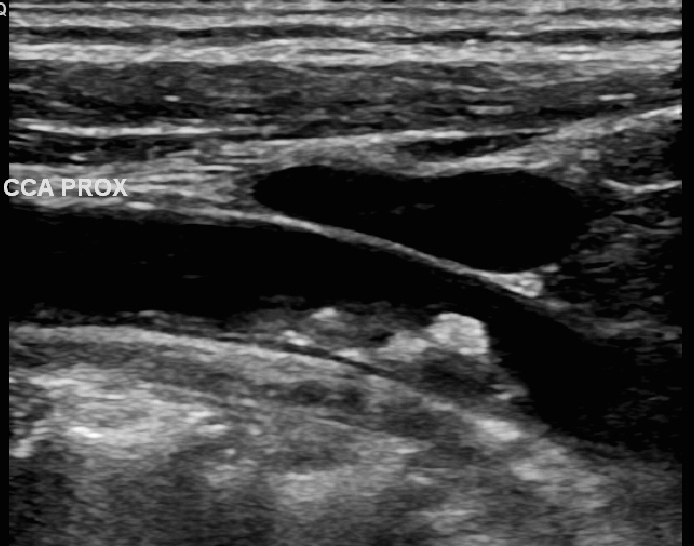 Ultrasound screening of the carotid artery, as I discussed here, is one such tool: vascular screening is an accurate, harmless and painless way to assess for subclinical atherosclerosis. Coronary calcium is another, which I’ve written extensively about. then I recommend a daily baby aspirin (assuming no high risk of bleeding). There are no randomized trials testing this approach but in the next few years several large aspirin trials will be completed and hopefully we will get a better understanding of who benefits most from aspirin for primary prevention. Avid readers of the skeptical cardiologist know that he is not an advocate of fish oil supplements. One of my first posts (1/2013) was devoted to taking down the mammoth OTC fish oil industry because recent scientific evidence was clearly showing no benefit for fish oil pills. Despite a lack of evidence supporting taking them, the fish oil business continues to grow, buttressed by multiple internet sites promoting various types of fish oil (and more recently krill oil) for any and all ailments and a belief in the power of “omega-3 fatty acids”. A publication this month evaluated the 10 randomized controlled trials involving 77 917 thousand individuals that have studied fish oil supplements in preventing heart disease. The writers concluded that fish oil supplements do not significantly prevent any cardiovascular outcomes under any scenario. The Omega-3 Treatment Trialists’ Collaboration was established to conduct a collaborative meta-analysis based on aggregated study-level data obtained from the principal investigators of all large randomized clinical trials of omega-3 FA supplements for the prevention of cardiovascular disease, using a prespecified protocol and analysis plan. The aims of this meta-analysis were to assess the associations of supplementation with omega-3 FAs on (1) fatal CHD, nonfatal MI, stroke, major vascular events, and all-cause mortality and (2) major vascular events in prespecified subgroups.
. Randomization to omega-3 fatty acid supplementation (eicosapentaenoic acid dose range, 226-1800 mg/d) had no significant associations with coronary heart disease death (rate ratio [RR], 0.93; 99% CI, 0.83-1.03; P = .05), nonfatal myocardial infarction (RR, 0.97; 99% CI, 0.87-1.08; P = .43) or any coronary heart disease events (RR, 0.96; 95% CI, 0.90-1.01; P = .12). Neither did randomization to omega-3 fatty acid supplementation have any significant associations with major vascular events (RR, 0.97; 95% CI, 0.93-1.01; P = .10), overall or in any subgroups, including subgroups composed of persons with prior coronary heart disease, diabetes, lipid levels greater than a given cutoff level, or statin use. There is clearly no reason to take fish oil supplements to prevent cardiovascular disease! If the science was conclusive on this in 2013 why did the American Heart Association (AHA) issue an “advisory” in 2017 suggesting that the use of omega-3 FAs for prevention of coronary heart disease (CHD) is probably justified in individuals with prior CHD and those with heart failure and reduced ejection fractions? The AHA advisory is clearly misguided and relies heavily in its discussion on a 2012 meta-analysis from Rizos, et al. published in 2012. No statistically significant association was observed with all-cause mortality (RR, 0.96; 95% CI, 0.91 to 1.02; risk reduction [RD] -0.004, 95% CI, -0.01 to 0.02), cardiac death (RR, 0.91; 95% CI, 0.85 to 0.98; RD, -0.01; 95% CI, -0.02 to 0.00), sudden death (RR, 0.87; 95% CI, 0.75 to 1.01; RD, -0.003; 95% CI, -0.012 to 0.006), myocardial infarction (RR, 0.89; 95% CI, 0.76 to 1.04; RD, -0.002; 95% CI, -0.007 to 0.002), and stroke (RR, 1.05; 95% CI, 0.93 to 1.18; RD, 0.001; 95% CI, -0.002 to 0.004) when all supplement studies were considered. Nothing. Nada. No significant benefit! The AHA was so confused by their own advisory that in the AHA news release on the article they quote Dr. Robert Eckel, a past AHA president as saying he remains “underwhelmed” by the current clinical trials. Eckel said he doesn’t prescribe fish oil supplements to people who have had coronary events, and the new science advisory won’t change that. “It’s reasonable, but reasonable isn’t a solid take-home message that you should do it,” he said. It’s hard for me to understand why the AHA gets so many things wrong in their scientific advisories. In the case of the recent misguided attack on coconut oil , their ongoing vilification of all saturated fats, and their support for fish oil supplements I don’t see evidence for industry influence. The authors of the fish oil supplement advisory do not report any financial conflicts of interest. There is, however, one bias that is very hard to measure which could be playing a role: that is the bias to agree with what one has previously recommended. The AHA issued an advisory in 2002 recommending that people take fish oil. Changing that recommendation would mean admitting that they were wrong and that they had contributed to the growth of a 12 billion dollar industry serving no purpose. Personally, I am aware of this kind of bias in my own writing and strive to be open to new data and publications that challenge what I personally believe or have publicly recommended. Don’t take fish oil supplements to prevent heart disease. Americans want a “magic-bullet” type pill to take to ward off aging and the diseases associated with it. There isn’t one. Instead of buying pills and foods manipulated and processed by the food industry which promise better health, eat real food (including fish) eat a lot of plants and don’t eat too much. Like the first prescription fish oil available in the US, Lovaza, VASCEPA is only approved by the FDA for treatment of very high triglycerides (>500 mg/dl). Consequently, you may find your doctor prescribing this drug to you. If you do, I suggest you ask him if he recently had a free lunch or dinner provided by Amarin, has stock in the company (Vascepa is the sole drug made by Amrin and its stock price fluctuates wildly depending on sales and news about Vascepa) or gives talks for Amarin. Science continued to progress in the field of cardiology in 2017. Some cardiology interventions were proven to be more beneficial (TAVR) and some less (coronary stents). A class of cholesterol lowering drugs had a big winner and a big loser. A supplement that many thought, based on observational studies, was crucial to prevent heart disease, turned out to be unhelpful. More evidence emerged that saturated fat is not a dietary villain. Thus read the Vox headline for the ORBITA study which was published in November. Cardiologists have known for a decade (since the landmark COURAGE study) that outside the setting of an acute heart attack (acute coronary syndrome or ACS), stents don’t save lives and that they don’t prevent heart attacks. Current guidelines reflect this knowledge, and indicate that stents in stable patients with coronary artery disease should be placed only after a failure of “guideline-directed medical therapy.” Despite these recommendations, published in 2012, half of the thousands of stents implanted annually in the US continued to be employed in patients with either no symptoms or an inadequate trial of medical therapy. Yes, lots of stents are placed in asymptomatic patients. And lots of patients who have stents placed outside the setting of ACS are convinced that their stents saved their lives, prevented future heart attacks and “fixed” their coronary artery disease. It is very easy to make the case to the uneducated patient that a dramatic intervention to “cure” a blocked artery is going to be more beneficial than merely giving medications that dilate the artery or slow the heart’s pumping to reduce myocardial oxygen demands. Stent procedures are costly in the US (average charge around $30,000, range $11,000 to $40,000) and there are significant risks including death, stroke and heart attack. After placement, patients must take powerful antiplatelet drugs which increase their risk of bleeding. There should be compelling reasons to place stents if we are not saving lives. I, along with the vast majority of cardiologists, still recommended stents for those patients with tightly blocked coronary arteries and stable symptoms, which were not sufficiently helped by medications. ORBITA calls into question even this indication for stenting. The ORBITA study investigators recruited 230 patients to whom most American cardiologists would have recommended stenting. These patients appeared to have a single tightly blocked coronary artery and had chest pain (angina) that limited their physical activity. They treated the patients for 6 weeks with aspirin/statins/ and medications that reduce anginal symptoms such as beta-blockers, calcium-channel blockers or long-acting nitrates. At this point patients were randomized to receive either a stent or to undergo a catheteriation procedure which did not result in a stent, a so-called sham procedure. 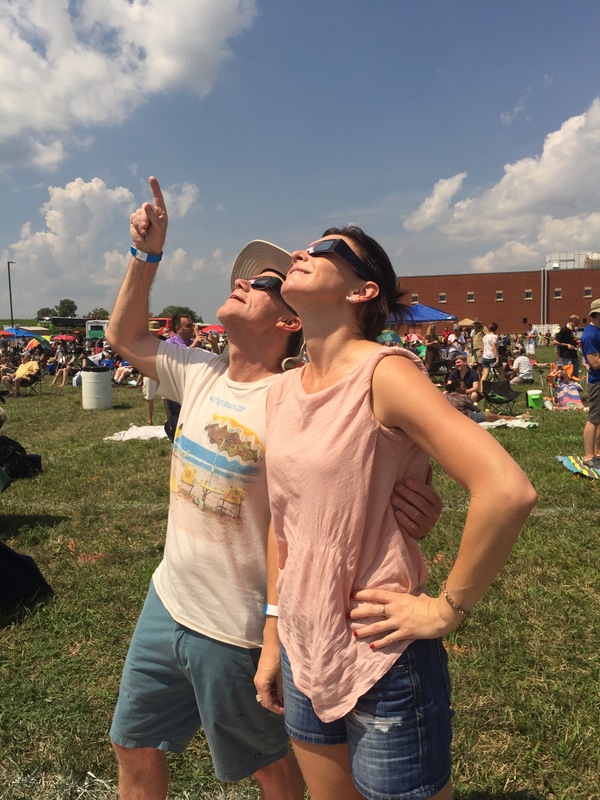 The performance of a sham procedure was a courageous move that made the study truly double-blinded; neither the patients nor the investigators knew which patients had actually received a stent. Thus, the powerful placebo effects of having a procedure were neutralized. Surprisingly, the study found that those patients receiving stents had no more improvement in their treadmill exercise time, angina severity or frequency or in their peak oxygen uptake on exercise. ORBITA hopefully will cause more cardiologists to avoid the “oculo-stenotic” reflex wherein coronary artery blockages are stented without either sufficient evidence that the blockage is causing symptoms or that a medical trial has failed. Although this was a small study with a very narrowly defined subset of patients, it raises substantial questions about the efficacy of coronary stenting. If ORBITA causes more patients and doctors to question the need for catheterization or stenting, this will be a very good thing. 2. Vitamin D Supplementation Doesn’t Reduce Cardiovascular Disease (or fractures, or help anything really). 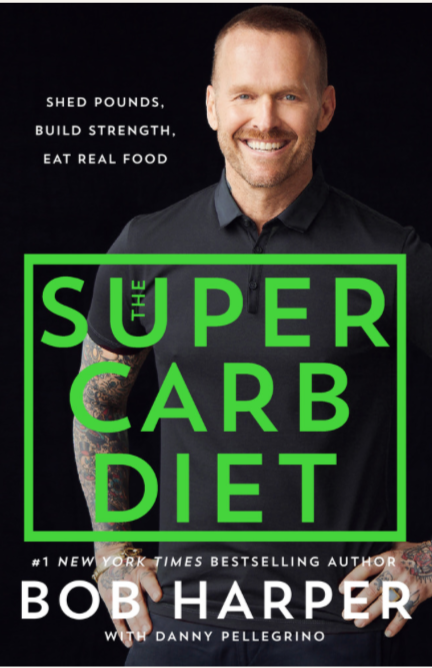 One of my recurring themes in this blog is the gullibility of Americans who keep buying and using useless vitamins, supplements and nutraceuticals, thereby feeding a $20 billion industry that provides no benefits to consumers (see here and here). Despite well done studies showing a lack of benefit of Vitamin D supplementation, the proportion of people taking more than 1,000 IU daily of Vitamin D surged from just 0.3 percent in 1999-2000 to 18 percent in 2013-2014. I’ve written previously (calcium supplements: would you rather a hip fracture or a heart attack) on the increased risk of heart attack with calcium supplementation. Most recently a nicely done study showed that Vitamin D supplementation doesn’t reduce the risk of heart disease. In a randomized clinical trial that included 5108 participants from the community, the cumulative incidence of cardiovascular disease for a median follow-up period of 3.3 years was 11.8% among participants given 100 000 IU of vitamin D3 monthly, and 11.5% among those given placebo. Last October, JAMA Internal Medicine published a randomized, controlled trial of vitamin D examining its effects on musculoskeletal health. Postmenopausal women were given either the supplement or placebo for one year. Measurements included total fractional calcium absorption, bone mineral density, muscle mass, fitness tests, functional status, and physical activity. On almost no measures did vitamin D make a difference. The accompanying editor’s note observed that the data provided no support for the use of any dose of vitamin D for bone or muscle health. Last year, also in JAMA Internal Medicine, a randomized controlled trial examined whether exercise and vitamin D supplementation might reduce falls and falls resulting in injury among elderly women. Its robust factorial design allowed for the examination of the independent and joined effectiveness of these 2 interventions. Exercise reduced the rate of injuries, but vitamin D did nothing to reduce either falls or injuries from falls. In the same issue, a systematic review and meta-analysis looked at whether evidence supports the contention that vitamin D can improve hypertension. A total of 46 randomized, placebo controlled trials were included in the analysis. At the trial level, at the individual patient level, and even in subgroup analyses, vitamin D was ineffective in lowering blood pressure. calcium, calcium plus vitamin D, and vitamin D supplementation alone were not significantly associated with a lower incidence of hip, nonvertebral, vertebral, or total fractures in community-dwelling older adults. I reported the very positive results for evolocumab and disappointing results for bosocizumab on the physician social media site SERMO in March but never put this in my blog. As a practicing cardiologist I’ve been struggling with how to utilize the two available PCSK9 inhibitors (Amgen’s Repatha (evolocumab) and Sanofi’s Praluent (alirocumab) in my clinical practice. I would love to use them for my high risk statin-intolerant patients but the high cost and limited insurance coverage has resulted in only a few of my patients utilizing it. The lack of outcomes data has also restrained my and most insurance companies enthusiasm for using them. The opening session at this year’s American College of Cardiology Scientific Sessions in DC I think has significantly changed the calculus in this area with two presentations: the first showing Amgen’s “fully humanized” evolocumab significantly lowers CV risk in high risk patients on optimal statin therapy and the second showing that Pfizer’s “mostly humanized” bococizumab loses efficacy over time and will likely never reach the market. The FOURIER study of evolocumab randomized 27, 564 high risk but stable patients who had LDL>70 with prior MI, prior stroke or symptomatic PAD to receive evolocumab or placebo on top of optimized lipid therapy. 69% of patients were recieving high intensity statin therapy and the baseline LDL was 92. 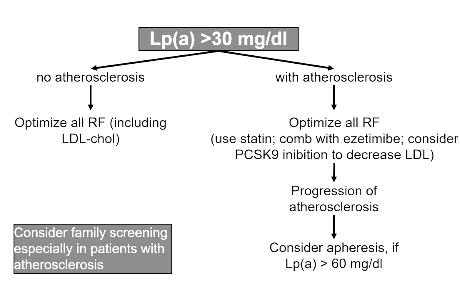 LDL was reduced by 59% to average level of 30 in the treated patients. The reduction in LDL was consistent through the duration of the study. IN 1/4 of the patients LDL was <20! These are unprecedented low levels of LDL. Active treatment significantly reduced the primary endpoint by 15% and reduced the secondary endpoinf of CV death, MI, stroke by 20%. absolute difference 2% by 3 years. There was no difference in adverse effects between placebo and Evo. 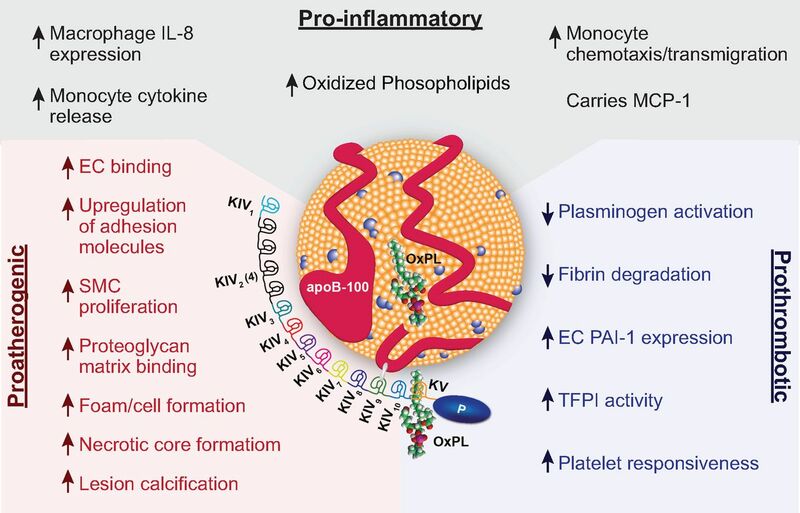 The next presentation featured data using Pfizer’s candidate in the PCSK9 wars and the acronym SPIRE (Studies of PCSK9 Inhibition and the Reduction in vascular Events (SPIRE) Bococizumab Development Program). Paul Ridker presented the outcomes data for bococizumab which was actually similar to evolocumab data but given the declining efficacy and development of antibodies to the Pfizer drug over time these were very disappointing for Pfizer and I would presume their drug will never reach the market. How will these results impact clinical practice? I am now more inclined to prescribe evolocumab to my very high risk patients who have not achieved LDL< 70. I’m willing to do what I can to jump through insurance company hoops and try to make these drugs affordable to my patients. I am less worried about extremely low LDL levels and have more faith in the LDL hypothesis: the lower the LDL the lower the risk of CV disease. Cost is still going to be an issue for most of my patients I fear and the need for shared decision-making becomes even more important. As one headline put it. The Prospective Urban Rural Epidemiology (PURE) study, involved more than 200 investigators who collected data on more than 135000 individuals from 18 countries across five continents for over 7 years. -Higher carbohydrate intake was associated with an increased risk of total mortality but not with CV disease or CV disease mortality. I wish for all those following science-based medicine a healthy dose of humility. As science marches on, it’s always possible that a procedure we’ve been using might turn out to be useless (or at least much less beneficial than we thought), and it is highly likely that weak associations turn out to be causally nonsignificant. Such is the scientific process. We must continually pay attention, learn and evolve in the medical field. Happy New Year to Be from the Skeptical Cardiologist the EFOSC!